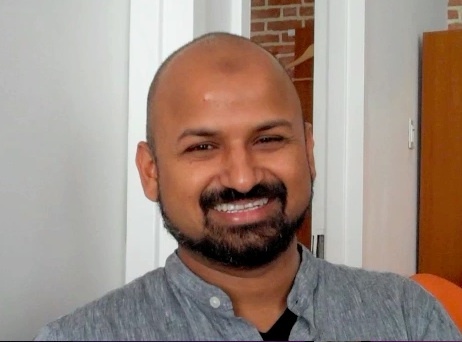 Rafat Ali is best known for his coverage of the New York tech scene — which he’s done since dot-com boom 1.0 went bust. However, what’s amazing is that he began his career as a computer engineer, pre-internet in India and found his way into the industry at large by way of a Masters Degree from Indiana University and a personal blog. It’s because of these experiences that he found himself humbly rising the ranks during a tumultuous time at the frenzied start up Inside.com, and finally made his way to covering the industry itself with Jason Calacanis’s Silicon Alley Reporter (just as it’s own print publication went bust). Eventually, and seemingly accidentally, he turned his side project, paidcontent.org, into a must-have for media professionals before even more accidentally turning that into a surprising and swift exit. His experience sums up the evolution of New York new media. Now as the CEO & Found of his latest project, Skift, Rafat is using the knowledge he’s gained along the way to create a truly profitable journalism product that covers the biggest industry in the world – travel – from a b2b perspective. We’ve learned that 3 years in, Skift is in the black and has three equal revenue streams that give Rafat and his team the runway to build the company that works the way they want it to in a way that benefits both users and advertisers alike. Cheers!